On March 1st, the students in Sra. Birman and Sra. 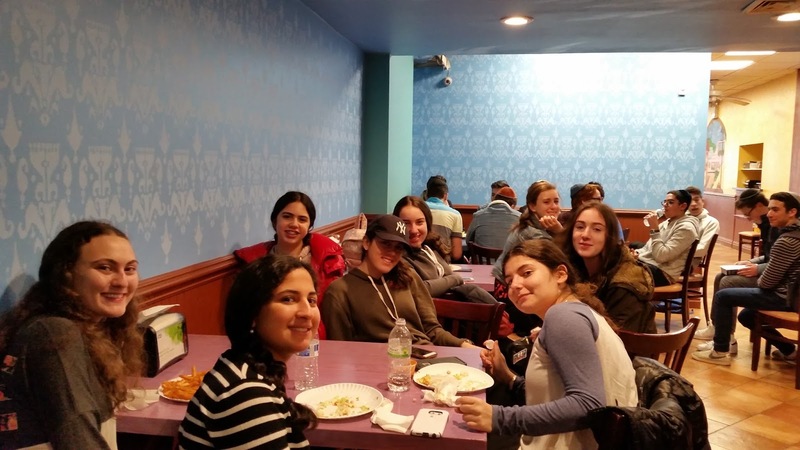 Ovadia's Spanish III classes attended a very interesting performance at the Spanish Repertory Theater in Manhattan called "La Gringa." It was a beautiful immersion in the language and the culture. After the performance everyone had lunch at Carlos and Gabby's to get a taste of Mexican food. It was a lot of fun! ¡Qué divertido!